Gary Sutter serves as the co-Brokerage Director of Synergy Wealth Solutions, a MassMutual Agency and offers MassMutual’s portfolio of life, disability income, annuity and long term care products to the independent brokerage community. As brokerage director, Gary helps brokers design and develops insurance solutions for their clients business and personal needs. He believes that the insurance solutions provided by MassMutual’s distinct and diversified product portfolio places his brokers in a most favorable position to help satisfy their client’s insurance needs. 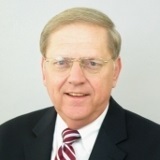 Gary Sutter is a registered representative of and offers securities through MML Investors Services, LLC, Member SIPC. Supervisory Office: 14567 North Outer Forty Drive, Suite 300, Chesterfield, MO 63017, Phone: 636-728-2400.